It’s a special day today, it’s Mike Jaimes‘s birthday! Aside from being an awesome friend and comrade who we miss mightily – we also think he may just have been one of the truly greatest guitarists in the history of ever. So, so we wanted to share something special — Mike’s acoustic version of St. Stephen. Everything that was wonderful about Mike’s guitar playing is on display here: his remarkably fluid rhythm, his little ad libs, the powerful approach he took even in the understated moments, and so many other ways he had that made it his. I played St.Stephen with Mike on a Vince Welnick tour, and let me tell you — it was different every night, but always true to the original. He really rocked it! Technical note: This recording is not in the chronological order we’ve been following till now. But, what the hey! This is Native – the rules are only there so we can bend them. The date of the recording doesn’t matter much, anyway. Mike would have sounded like this in any year that we’d have decided to put a microphone in front of him, said, “Play St. Stephen,” and hit the ‘record’. The only variable would be in which form of primitive technology we were using to record. In this case, it was an early version of Protools. It was 2000, the milennium year. We’d just entered a new age of computer-based recording. It was like magic — and John Fitzwater, our soundman, was preparing to step into the role of Producer for our next record (the awesome, and little-heard And Then What). As a shakedown cruise, it was decided it would be great to get Mike to do the legendary Grateful Dead song, unaccompanied. Just him and an acoustic guitar. Simples. In fact, too simple. There’s only one microphone used, so Mike’s voice and the guitar are on the same track. So, like many of the rarites we’re pulling from the vault, it’s a flawed recording. But, it’s well worth hearing because it’s great, and it’s Mike Jaimes, and it’s his birthday. Happy birthday Mikey — we miss you so much! In our last exciting episode, we heard Anthony’s version of the hard-rocking Native. 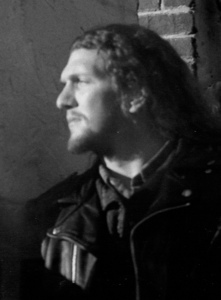 In December, 1992 Anthony Balsley (he of manly voice and ballsy name) left the band on very amicable terms, indeed he would continue to join us on stage for a raging version of Balloo many, many times. Now, the band had to make a decision — who would be the next lead singer? The logical choice was Mat Hutt, who was singing several tunes anyway, and he knew all the ones Anthony had sung. So, it’s no coincidence the next two recordings were Mat doing versions of songs Anthony had done at the gigs. The band had recorded the tracks in November, with Mat overdubbing his new lead vocal in early December. Sadly, Anthony’s original vocals were wiped in the process. 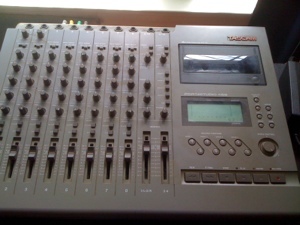 A Tascam 8-track. It let you record 8 separate tracks, but only 4 at a time. Which is why these tracks sound the way they do. At times, you’ll find drums, bass, AND something like acoustic guitar — in mono. And, with there being only eight tracks available, the erasure of Anthony’s parts was an unfortunate certainty. But, that’s the dilemma our stalwart sound engineer, Rob Smith, faced: getting a band with a big sound recorded with such limited means, not to mention the insistent nature of circumstance. With that in mind, let the listener be kind. Nativology Pt 3 – The Origin Continues! 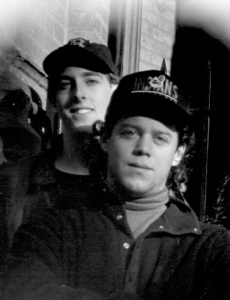 Mat Hutt, Dave Thomas, Matt Lyons, and Mike Jaimes had been jamming in the Mott Street Studio during the wintery months of early 1992. Somewhere along the line, for some obscure reason lost in the smoke-rings of time, it was decided that the nascent ensemble still required the presence of a lead singer to complete the picture. The band got a timely tip that one of the door men at Wetlands was someone worth talking to. His lead singer potential was readily apparent: possessing a throaty roar, a mastodon-like physique, the longest mane of hair in all humankind, and one of the most rock-star-sounding names, ever — Anthony Balsley. Despite being more than a bit dubious about the entire project, to his great credit Anthony joined us, and we quickly set about working up new songs to accommodate his style. Anthony was listening to a harder brand of rock than we’d been playing heretofore, but we quickly fell into the new spirit he brought to the table. The addition of Anthony gave us the chance to rock, and rock we did. The tracks you are about to hear sometimes reach a furious level of rocking. The band was veering closer toward the sound of, say, Alice In Chains, and who knows how things might have gone had he stayed on. Oh yeah… Anthony, in his brief reign, gave the band something else of great worth — a name. It was Anthony who dubbed the band Native, and that appellation would stay in place even as he departed in December. Next week: Mat Hutt, Ascendant. In our last installment we saw Mike Jaimes and myself collaborating on Something Worth Remembering, a song that gave us the good idea to get a band together that could play it. Meanwhile, I was playing in a band called Gods & Goddesses with Mat Hutt. 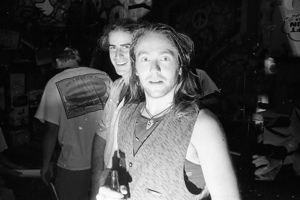 Mat was living downstairs from me at the Clinton Arms (or, ‘The Hippie Hotel, as we called it) on 99th Street. We had lots of mutual friends and musical influences, and I was chuffed when he got me into the band. But, before long, tensions formed within the group. Mat had lots of good musical ideas that were passed over, and quite unfairly, I thought. To my surprise, I got fired, despite Mat’s strong support, and then a couple of weeks later – he got fired. As we commiserated, I thought of Something Worth Remembering, then I thought of Mat’s demos. He had made a slew of recordings on his Tascam 8-track which were very good. Mat, Mike, & I took the decision to talk to Matt Lyons, a bassist who played in yet another band I was in — the ever-fabulous Big Whiskey (featuring Pete Russell and Joel Buckley). Mike was the keyboardist in this group and we knew if Matt was our bassist, no matter what we did – it would have balls, big hairy balls. Meanwhile, John Wood lived across the hall from me at the Hippie Hotel, and was endeavoring to write & record songs on the most primitive set-up this side of Barney Rubble. It would be awhile before he became a factor in the band, but he was there at the inception, and stuck around for a very long time. From the beginning I loved his completely original compositions. 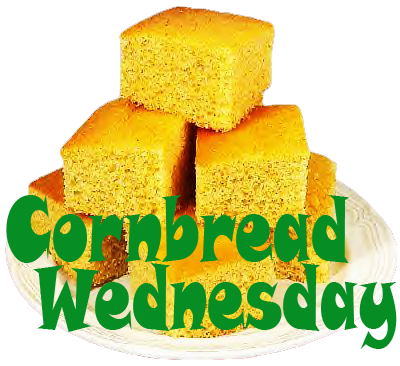 Next week, and every Wednesday till December (Cornbread Wednesdays – Yay!) 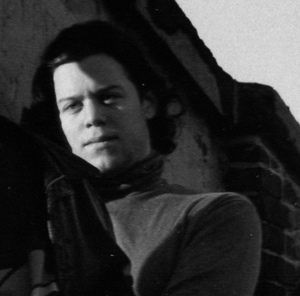 I’ll be continuing the excavation of Native’s tape vault whereupon one Anthony Balsley enters the picture, and makes a lasting impact on the band. Till then — Drinky Drinky, Smokey Smokey! It was 20 years ago today… the day Native played its first live gig. Native was formed in the winter of 1992 and the story of that coming-together is something I’ve long pondered. For, like Bart Simpson, I can’t help but feel partly responsible. 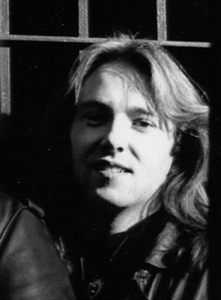 I recently transferred the band’s multi-track demos, nearly a decades worth, and they really brought back all the memories of where we were, what we were doing, and why we were doing it when we were doing it.. Sadly, we can’t really have a true reunion for our anniversary – we live too far apart, and Mike’s absence makes it difficult to even contemplate. So, I tried to think of a good way to celebrate our 20th Anniversary in some other significant way, and I thought of this, Nativology. We’re going to take a little trip through time and through the Native tape vault. Not for live shows (that’s an archival project unto itself) but through the wonderful multi-track recordings we made at our studio, first on Mott Street, then at the studio where would thrive for a decade, Marmfington Farm. I think you’ll be surprised at how much material Native had that never got onto one of our albums, and at the quality which only grew as our songwriting powers matured. We thought of each song as a fully-fledged production. But only today are we capable of giving them a sympathetic mix they so richly deserve. Now, don’t expect the polished sound of our big-budget records. 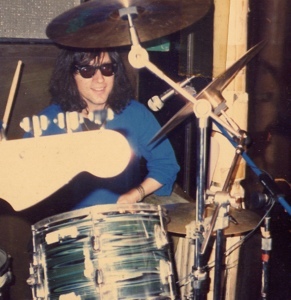 These mixes retain the rough-hewn low-cost quality of the recordings themselves: The drums and bass, in particular, are often on the same tracks, which makes them difficult to mix. But I really had fun mixing Mike’s guitar a little more adventurously than we had on our studio efforts. And so, with that — let’s trek back to the beginning. I was an ambitious drummer. I joined many bands, figuring that my odds of finding success were multiplied. However, that old bugaboo, my own original songs, kept popping up. Eventually, the urge to play my own tunes began to outweigh the rewards of being a side-man. One of the groups I was playing with broke up, and I found myself the sole occupant of a large space on Mott Street, or perhaps I should say under it. The room was large enough for several bands to share. The studio was four flights down, and undoubtedly drenched in radon, but it was no problem finding groups that would be glad to rehearse and store their gear there. One of them, The Spin Doctors, were particularly inspiring to me. Mott Street became a sanctuary where I was able to explore these song ideas that drummers aren’t supposed to have. I acquired a Tascam 4-track cassette recorder and recorded the first track in this ongoing anthology, a beseeching ode to a lady of the road. My collaborator, Mike Jaimes, basically took over, adding bass, guitar, organ, and vocals. So, here it is — the song that really got the ball rolling for Native – Something Worth Remembering. Tomorrow, Mat Hutt, John Wood & Anthony Balsley are at the same time having the same thoughts about starting a new band… except Anthony. Hippie Urban Funk is how Native’s sound is oft described. But Native was so much more than that — everything they were listening to at the time became a part of their sound. The big ticket influences: The Beatles, The Meters, and The Grateful Dead, could easily switch tracks into realms as diverse as Sun Ra at his most out-there, to Buck Owens’ Buckaroos at their Buckarooniest. For nigh on ten years, Native toured the northeast relentlessly, wrote, rehearsed and recorded constantly, and lived furiously… with fun being the better part of the equation. That translated directly to their demo tapes, which will be the subject of this examination of their vault. 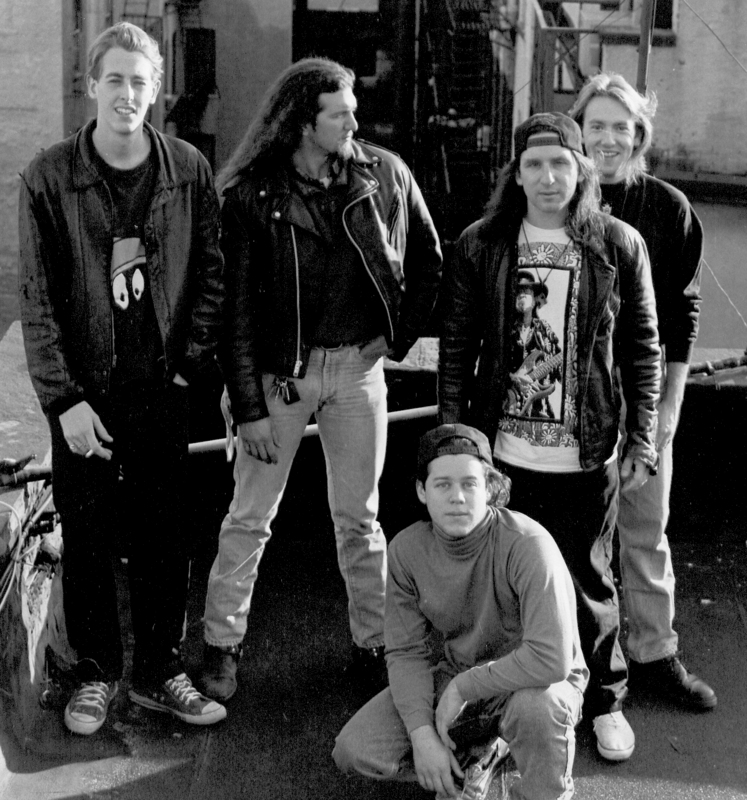 Formed by Mat Hutt, Mike Jaimes, Matt Lyons, Dave Thomas, and Anthony Balsley in the Spring of 1992, when they convened with a series of late-night jams in a deep underground studio on Mott Street, near Chinatown NYC they shared with The Spin Doctors & others. A testing-of-the-waters gig was arranged in Mat’s home town of Bar Harbor, Maine, and followed with a steady stream of shows at New York nightspots, mainly Nightengale Bar in the Village, Ruby’s on the upper east side, the newly-opened Wetlands in Tribeca, and the place we would call home-base for several years, McGovern’s Bar on Spring Street. 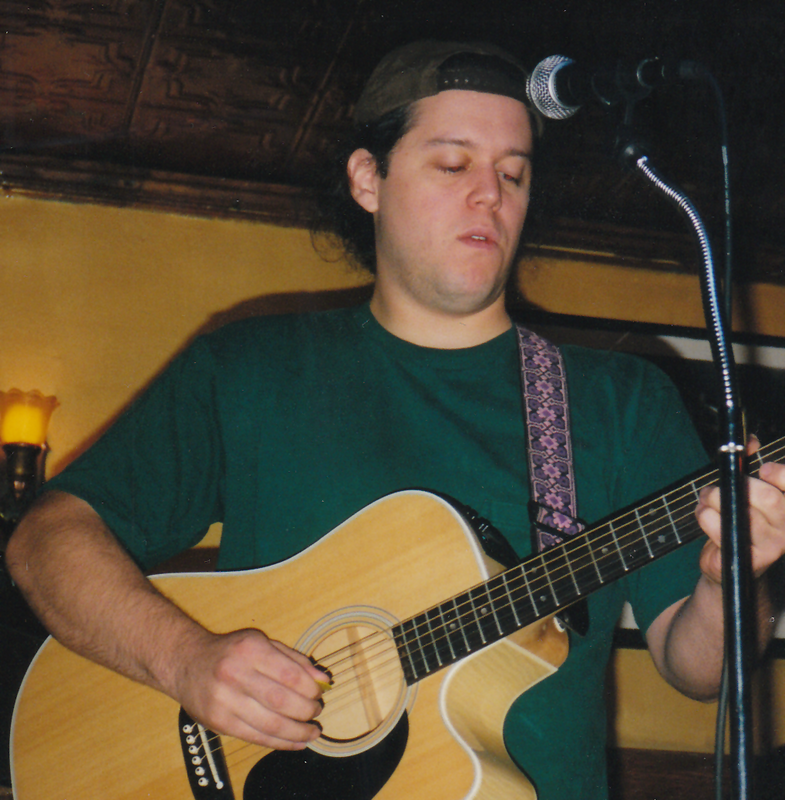 Anthony departed after six months, but John Wood showed up and played, and never stopped playing. Native quickly developed from sounding like a disparate collection of individuals into a unified whole. Paul Ducharme soon came aboard as Manager. 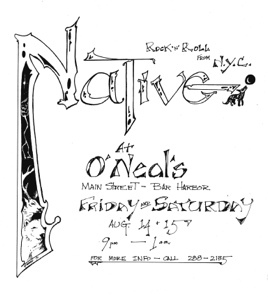 Over the years, Native was joined by a succession of fine keyboardists: John McGann, John Epstein, John Watts, and the ever-gregarious Chris Wyckoff., all will be featured in this excursion. Now, guided by Dave Thomas, we’ll delve into that journey, when Native became an ‘it’, a band, as we listen to the multi-track demo’s they made during their heyday. Think of these as bonus tracks to the official albums (all available on the Bandcamp link, as well as iTunes and most other mp3 sites). This will all lead up to the release of Native’s last studio recordings, December Roses, to commemorate the anniversary of Woody joining and thus creating the core-quintet – the heart of Native for the next decade. Native’s sound men: Robert Smith, and John Fitzwater engineered them on primitive 20th Century equipment, variable sound quality is to be expected.